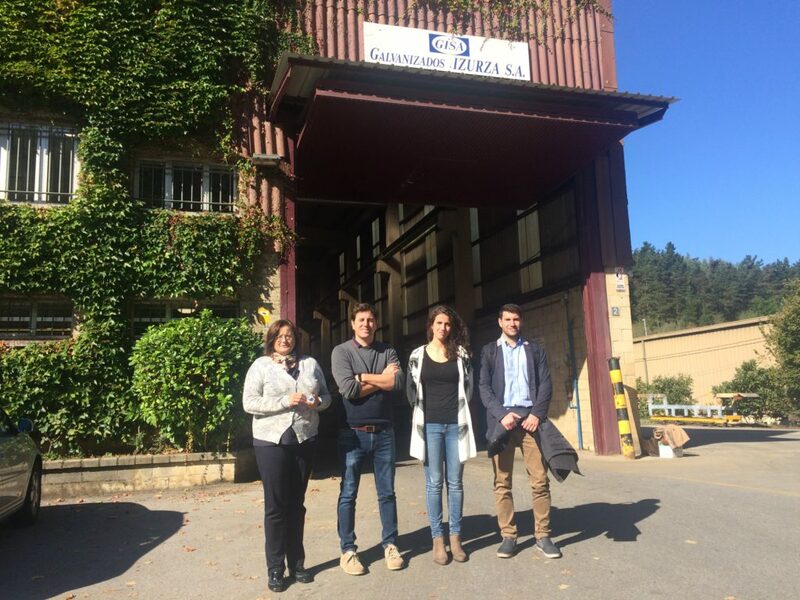 Partners from UC and APRIA Systems visited the production facilities of the company Galvanizados Izurza (GISA), located in Izurza (Basque Country). This visit, which took place last October 25, 2018, is part of the activities defined in LIFE-2-ACID, aimed at the recovery of zinc and iron chloride form spent pickling acids generated in galvanizing processes. We would like to thank the support and interest of GISA to the project activities and the productive discussion with the technical staff of the company.